While Buccaneer fans may be ringing in 2017 without playoffs to look forward to, 2016 was still a big year for the franchise. Here, we take a look at the ten best moments of the 2016 calendar year. 2016 was a rough year in many ways, but for the Buccaneers, things seemed to turn around for the better. They started slow, but won five straight at one point to put themselves in the playoff conversation. A two-game slide in December took them out of it, but they were still able to finish with a respectable 9-7 record. A lot happened for Tampa Bay in 2016. There were some changes, some steps forward and a couple of steps backward. There were times in which Bucs fans continued to feel frustration, but others in which they could celebrate. Looking at the year as a whole, there was a lot of progress made for a franchise that hasn’t seen any sustained success in quite a while. 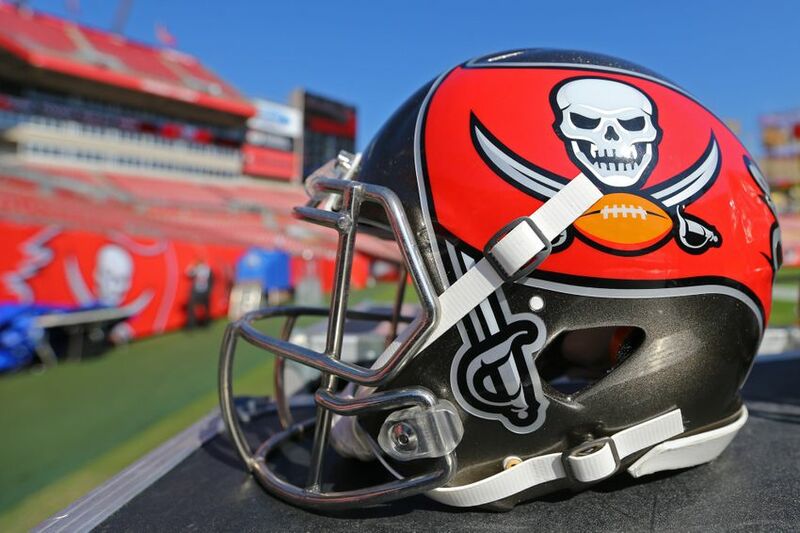 The 2015 draft was monumental for the Buccaneers. It netted them their next quarterback, who is now destined to become the face of the franchise for years to come. The 2016 draft was a big deal as well, as it included a couple of selections that will shape the Tampa Bay defense for years to come. 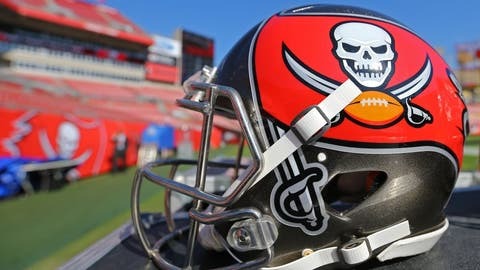 The Bucs traded their no. nine overall pick to the Bears, dropping two spots back while receiving a bonus fourth-round selection. At no. 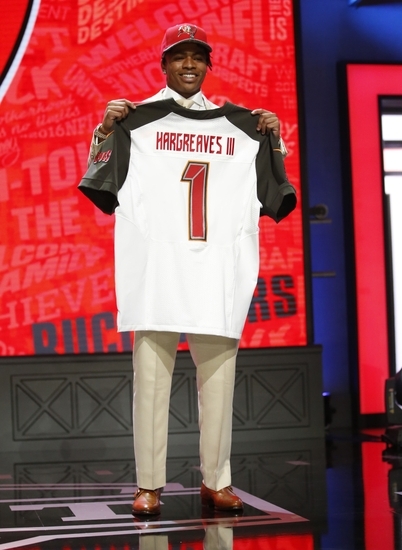 11, general manager Jason Licht drafted who he wanted all along: Vernon Hargreaves. The cornerback out of the University of Florida became the next building block for a Buccaneer defense that was coming off of a difficult year. It instantly added help to a secondary that badly needed it. On the next night of the draft, Licht addressed another significant need for his defense. With the 39th overall pick, he selected Noah Spence. The defensive end with a knack for getting after the quarterback seemed like a steal at the time, and he has only confirmed those thoughts after one season. Hargreaves went on to rack up 76 tackles (68 solo), a forced fumble, an interception and nine passes defended. Spence came on stronger as time passed, finishing the year with five and a half sacks and three forced fumbles. With their first two selections of the 2016 draft, the Bucs got two guys that will play key roles in their defense for a long time to come. When the Bucs traded up to select kicker Roberto Aguayo in the second round- yes, the second round- there were a lot of mixed feelings. Some fans were outraged, while some thought it was a genius move (full disclosure: I made a case for it being a good move). Those mixed feelings were met with mixed results in no. 19’s rookie year, but he did come through in week five. 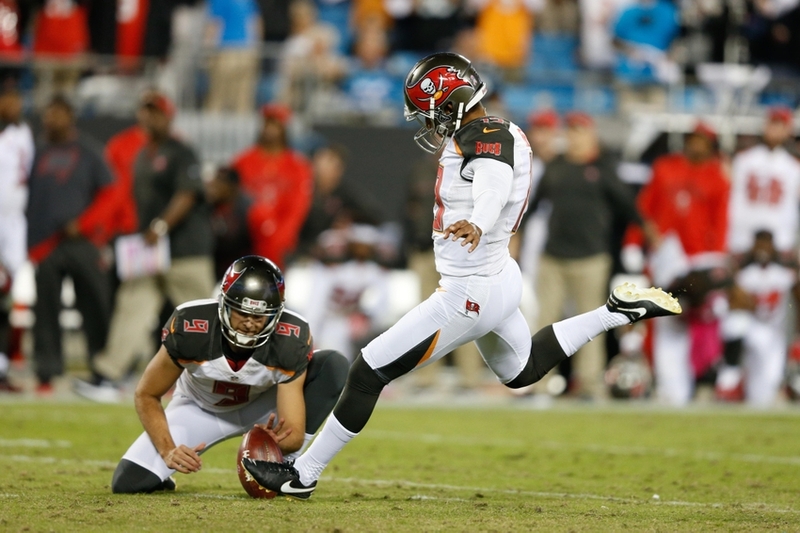 Aguayo nailed the game-winner to beat the defending NFC champion Panthers as time expired. The win sent the Bucs into their bye week at 2-3, which was a big deal after their frustrating three-game losing streak. The 38-yarder also eased the minds of some critical fans. It was a big-time game in prime-time, and the second-rounder found a way to deliver. The former Seminole still isn’t as automatic as everyone would like for him to be, but his game-winner on Monday Night Football was definitely one of the more memorable on-field moments of the season. Of course, Tampa Bay would go on to lose that game 43-28, but there’s no doubt that this catch opened the eyes of many. On third and 10, he snagged the high throw from Jameis Winston for a first down and held on after getting rocked by Keanu Neal. Had this come in a victory, it would rank much higher on this list. The athleticism, concentration and toughness that it took to bring this catch in was extremely impressive. A lot is expected of the supremely talented Evans, but this was unbelievable even for him. This was just one of many big catches for Evans this year, as he turned in an outstanding season. He hauled in 96 catches for 1,321 yards and 12 touchdowns, which was enough to earn him Pro Bowl honors. Not only that, but he continued to cement himself as one of the top receivers in the NFL. The game was certainly forgettable, but this catch was not. At the time, Tampa Bay’s 16-11 win over New Orleans on December 11 was a big one. It moved the Bucs to 8-5 ahead of a Sunday Night Football matchup in Dallas. Of course, they went on to lose two straight, while falling out of the playoff race in the process. 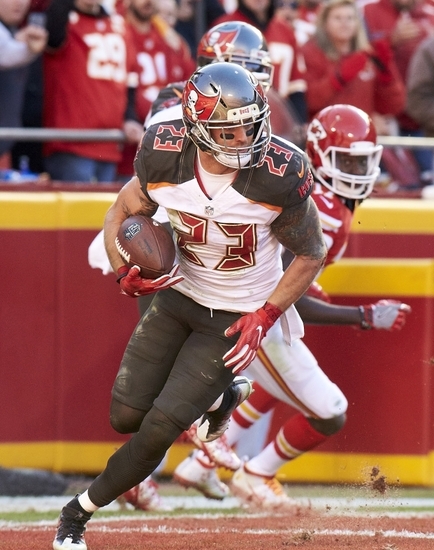 Tandy, filling in for an injured Chris Conte, sealed Tampa Bay’s fifth straight victory. 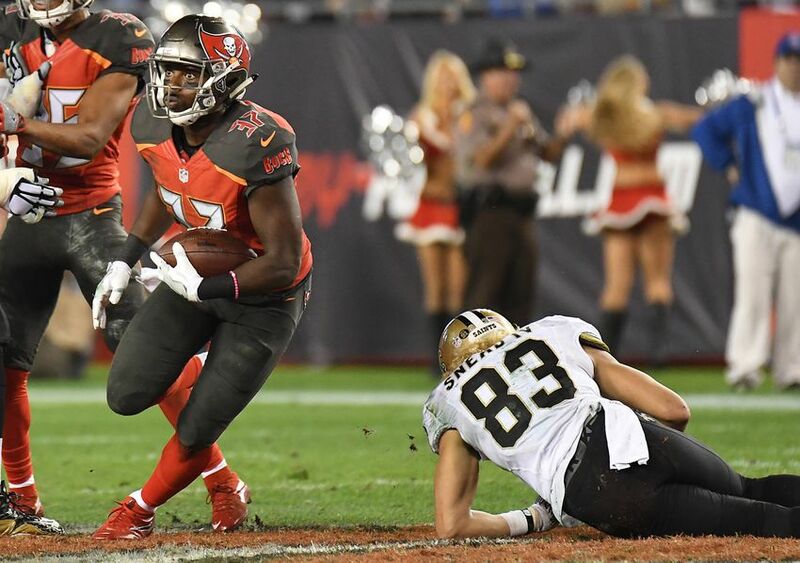 His pick on fourth and one sent Raymond James Stadium into a frenzy, as fans celebrated a home win over the division rival Saints. Just a week before, he picked off Philip Rivers late in the Bucs’ 28-21 win over the Chargers. So, the interception against New Orleans was his second straight game-saver, and it earned him Clutch Performer of the Week. The Buccaneer defense had its ups and downs in 2016, but Tandy’s play in relief of Conte was a big bright spot. While one of the biggest needs of the offseason appears to be weapons for Jameis Winston, the Bucs saw the emergence of a solid weapon in 2016. Tight end Cameron Brate, who spent some of last season with Tampa Bay, was a consistent force all year long. Really, a strong case can be made for him to be the team’s MVP for the year. His eighth touchdown catch of the year tied Jimmy Giles’ record that was set in 1985. Brate may have broken said record in week 17, but he was placed on injured reserve with a back injury that forced him to miss the team’s final game. 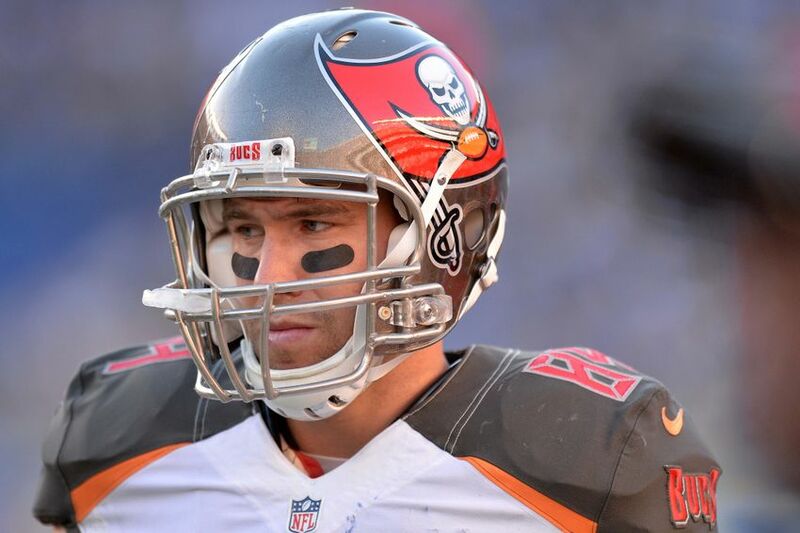 He should be a big part of the Buccaneer offense moving forward and rightfully so. 2016 was his year, as he proved to be one of the most productive tight ends in the league. 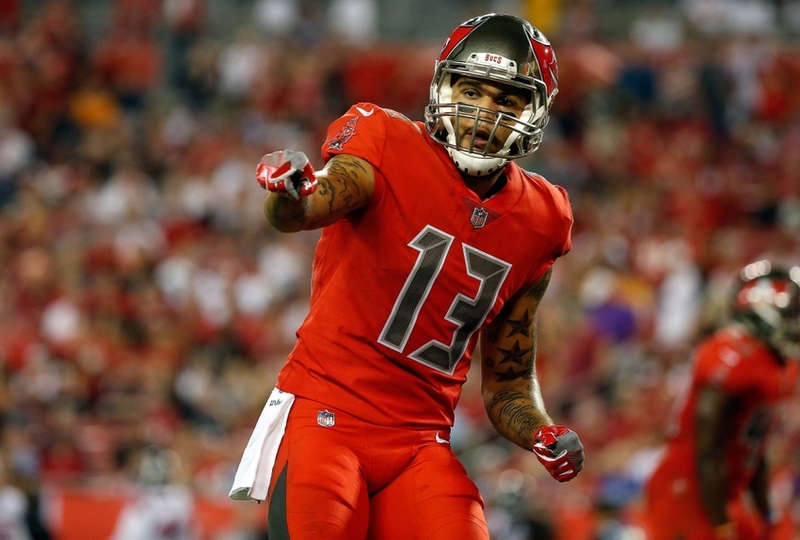 His success in the red zone made a huge difference for Tampa Bay, and the fact that he tied the record held by a Buccaneer legend like Giles was impressive. At the time, almost no one saw this coming. 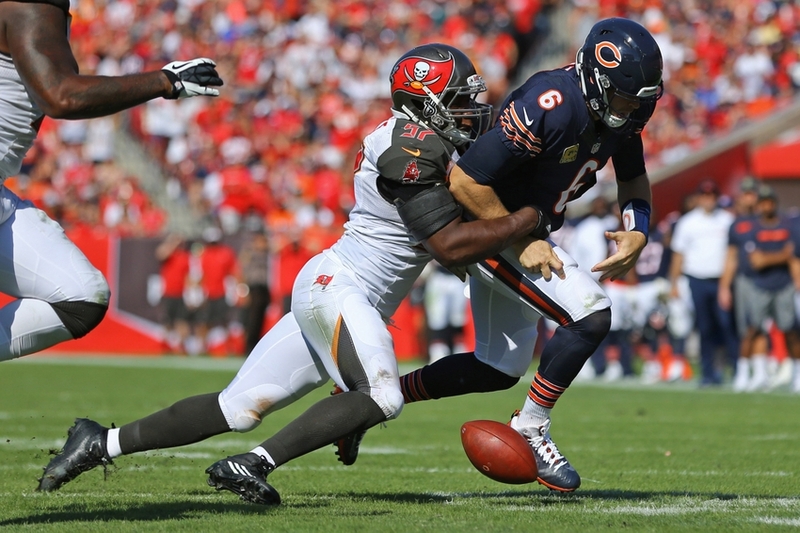 The Bucs had just beaten the Bears to improve to 4-5, but a loss to the Chiefs seemed like a foregone conclusion. Well as they say, that’s why they play the games. Tampa Bay went into a tough environment and came away with a 19-17 upset. Of course, three more wins followed, but this one just felt big. Jameis Winston was okay and Roberto Aguayo but the defense was the story. The unit didn’t break under pressure, and came through in some huge situations. The biggest play of the game came when Chris Conte intercepted Alex Smith in the end zone to thwart a Kansas City threat. 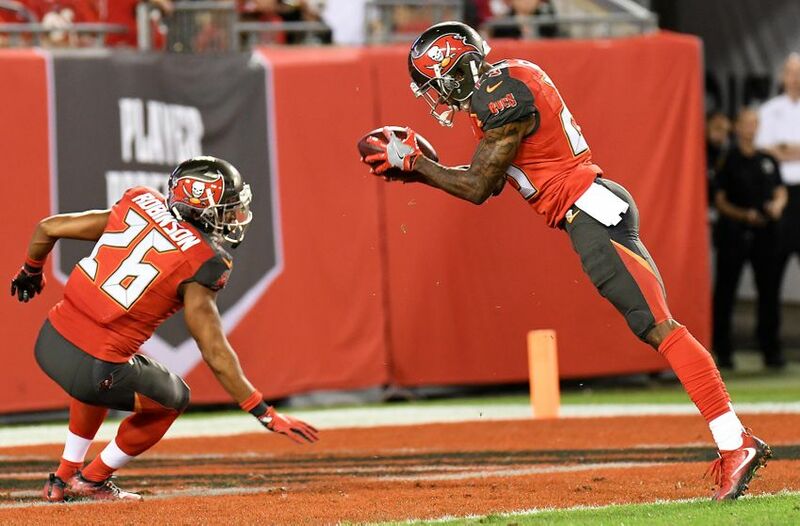 Tampa Bay held on for what was a signature win that sparked a signature run. 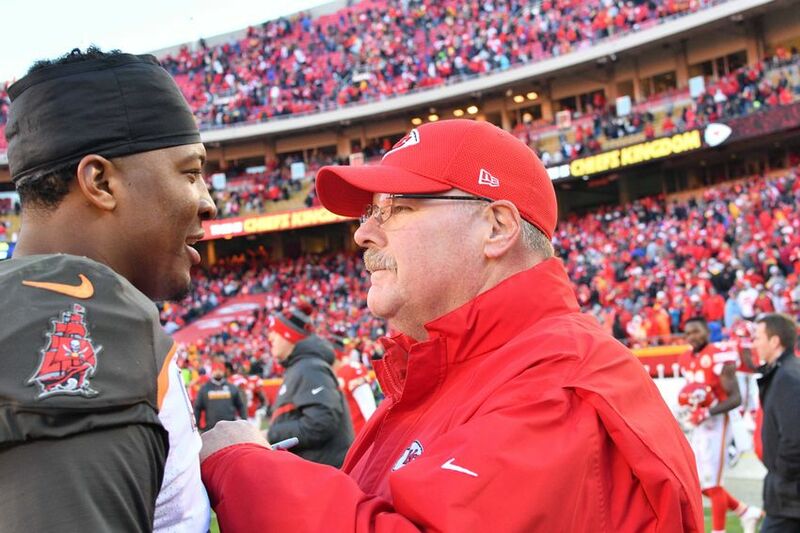 The victory snapped the Chiefs’ five-game winning streak, as well as their 10-game home win streak. It proved that the Bucs were starting to turn the corner. If I would’ve told you a year ago that the Bucs would soon get a win at Arrowhead Stadium, you would’ve laughed at me. But, Tampa Bay found a way to do it. Progress was being made and there was finally a way to visibly see it. One of the biggest changes for the Buccaneers in 2016 came within the first month of the year. In the first week of January, Lovie Smith was fired after going 8-24 in two seasons. About a week later, the front office officially promoted offensive coordinator Dirk Koetter to be the team’s 11th head coach. Gone was the soft-spoken Smith. 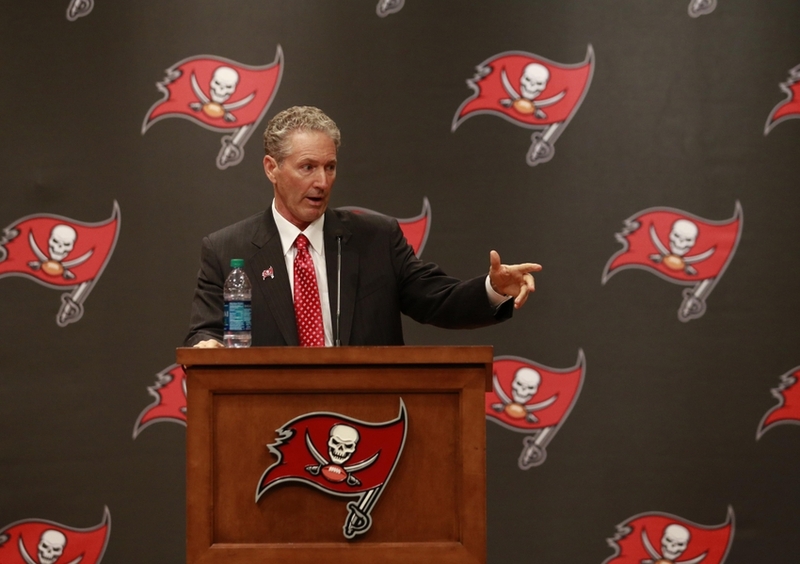 The witty Koetter became the leader of the squad, and to this point, it has paid off. The Bucs thought that he might be a candidate to go elsewhere, so instead of having to switch offenses with such a young quarterback, they made the switch. With the promotion of Koetter, Tampa Bay’s offense could stay on the course of development that was initiated in 2015. After one season, the move looks pretty good. The Bucs finished 9-7, which was their best mark since the 2010 season. The offense wasn’t as explosive as it was in 2015, but it’s still a work in progress. Additionally, the promotion of Koetter brought along Mike Smith as the team’s defensive coordinator. He proved to be a huge difference-maker for a new-look defense. The unit was the biggest reason for the team’s turnaround. Fans can only hope that the group stays together and continues to develop. Smith is likely a hot candidate for a head coaching job, which means he could be a one-and-done in Tampa. Even still, the head coaching change was a big deal for the Bucs. It changed the look and personality of the franchise, which is always something to appreciate. This might be one of the most impressive special teams plays that I’ve ever seen. Punter Bryan Anger was a stud all year long, while his punt coverage team was pretty special as well. Josh Robinson was a consistent playmaker, but there were others that played big roles on this one. Incredible. I was in the crowd at Raymond James Stadium that day and I couldn’t believe what I had seen. The athleticism and concentration that it took for Smith to make this play was insane. Not only was the play a big one, but it came in a big situation. 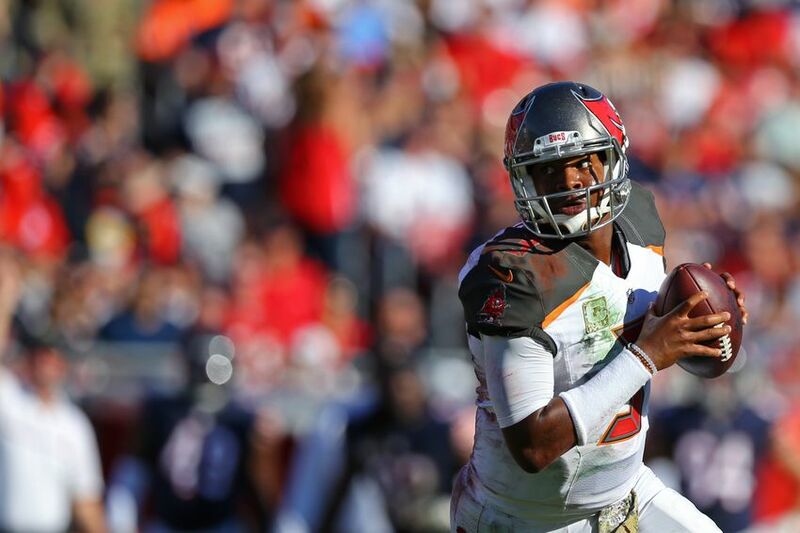 The Bucs were up five late in a game that was going to impact the playoff picture. The play gave Tampa Bay momentum, and its defense came through. This is a moment that will be remembered for a long, long time. Okay, maybe that’s an exaggeration. But oh man, this was crazy. This play was a roller coaster of emotions. Perhaps that’s why it was so much fun to watch. It represented what it’s sometimes like to watch Jameis Winston. Every fan probably felt the range from “what is he doing?” to “THAT WAS THE GREATEST THING TO EVER HAPPEN” with about 37 other emotions mixed in between. Everything about this play is ridiculous. I could watch that on a loop forever. Winston had his share of issues and inconsistencies this year. Despite all of that, he still had himself a nice year. He’s still the future of the franchise. There’s no denying it anymore. Once the front office builds more around no. 3, things will be even more exciting. For now, though, we can settle for watching this play again and again. It’s still unreal to me that this actually happened. Winston is a winner, a leader and a difference-maker. Plays like these can be frustrating when they don’t work out. However, this one worked out. So let’s all enjoy it until the end of time. Incredible moment in the first half! Verner intercepted Russell Wilson in the first half before getting mobbed by his teammates. He stayed down on the ground, clutching the football. As he ran off the field, he was overcome with emotion. His teammates rallied behind him on the sideline, supporting him through what had to be one of the most important moments of his career. This was enough to make anyone emotional. Fans were overwhelmed with how special this was. On the television broadcast, you can hear a crack in the voice of play-by-play announcer Kenny Albert as he realizes it was no. 21 that came up with the pick. 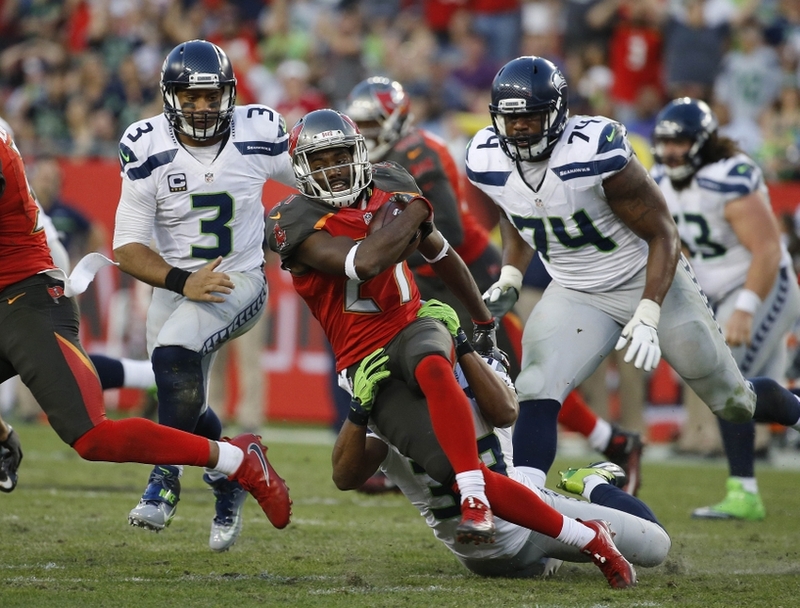 The interception was part of Tampa Bay’s dominant defensive performance against Seattle. The defensive line dominated, the secondary reaped the benefits and the Bucs upset the Seahawks 14-5. It was one of the biggest wins in recent memory, and this moment just added meaning to it. Yes, the win was monumental. But this moment was truly special. It was another example of how powerful sports can be. Verner showed a lot of strength by simply stepping onto the field for this game. The man lost his father just two days earlier, but decided that playing the game would be the best way to honor him. There’s no doubt that my father is one of the most important people in my life. I can’t say with any sort of certainty that I would’ve been able to do what Alterraun Verner did in such a tragic circumstance. This was undoubtedly the best (and most emotional) moment of the year. Next: Do Buccaneers Have A Strong Core Already In Place? Well, that’s a wrap on this list. 2016 was a memorable year for the Tampa Bay Buccaneers. What was your favorite moment of the year? Let us know in the comments or on social media.